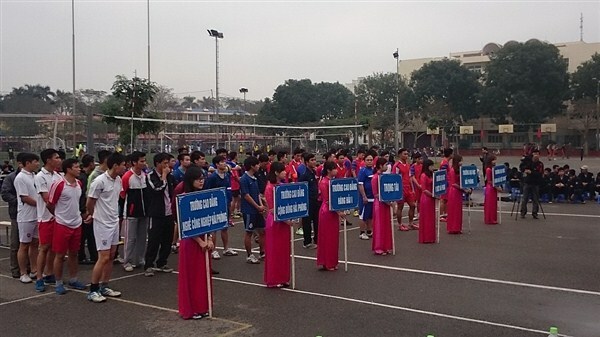 On the occasion of the 70th anniversary of Vietnam Sports Day (27/3/1946-27/3/2016) and to mark the 60th Founding Day of Vietnam Maritime University (1/4/1956-1/4/2016), in the morning of March 19th 2016, the men volleyball team of Maritime College No.1 took part in the Volleyball tournament of Haiphong Universities and Colleges. 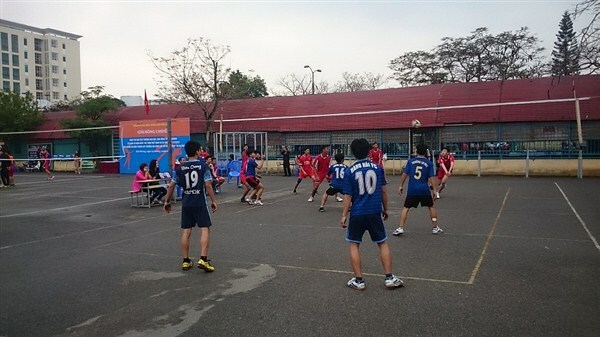 The tournament had 6 teams from Vietnam Maritime University, Haiphong University, Haiphong University of Medicine and Pharmacy, Maritime College No.1, Haiphong Community College, Haiphong Industrial Vocational College. This event promoted the exercise movement following the example of Great Uncle Ho and enhanced the solidarity, exchange and learning among the staffs and students of Universities and Colleges in Haiphong city. 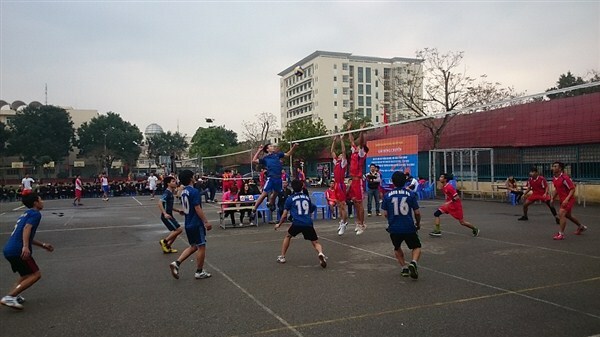 At the end of the tournament, the Organization Board awarded the 1st prize for the volleyball team of Haiphong Industrial Vocational College. 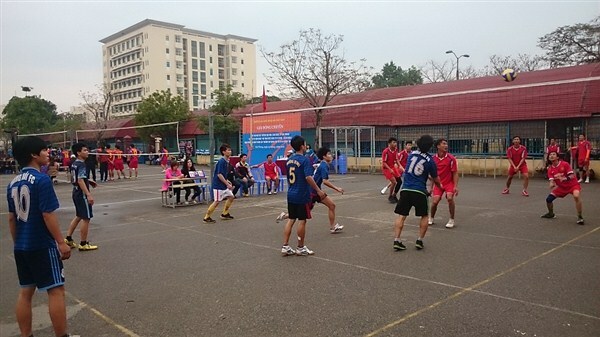 The teams of Haiphong University of Medicine and Pharmacy and Haiphong Community College won the second prize. 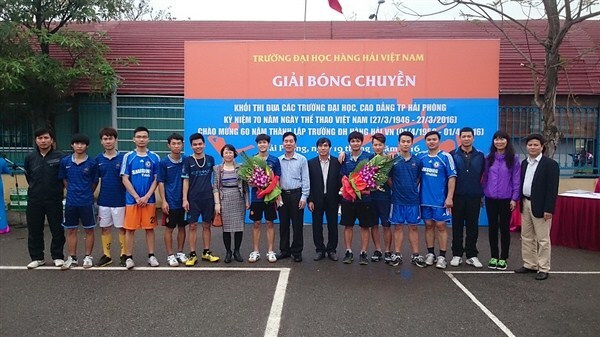 The consolation prizes were awarded to the teams of Maritime College No.1 and Vietnam Maritime University. Some pictures of the tournament.